Particularly common in dry, usually sandy open ground or under jack pine, oaks, or aspen; dune ridges and thin rocky soil; also in deciduous forests, even on somewhat moist ground. 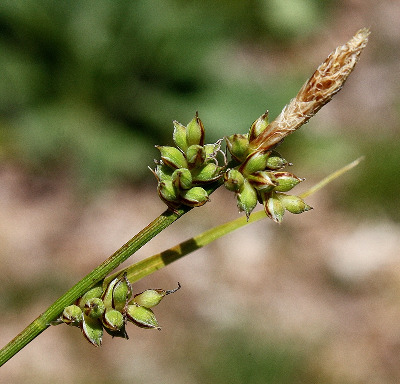 The pistillate spikes are often small (few-flowered) and inconspicuous in this species, in comparison with the staminate spikes (or with C. communis). MICHIGAN FLORA ONLINE. A. A. Reznicek, E. G. Voss, & B. S. Walters. February 2011. University of Michigan. Web. 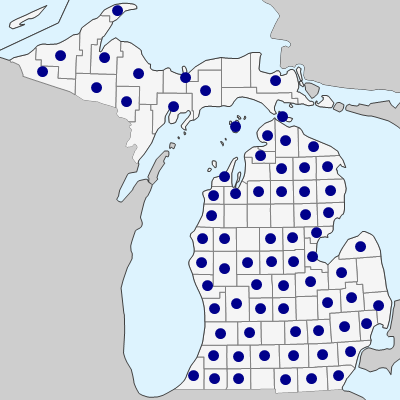 April 21, 2019. https://michiganflora.net/species.aspx?id=1026.